Nidi I in process, 2017. Crepe paper, paper cord, wheat paste. I'm supposed to have a baby in nine days. I imagined by this time I'd be "nesting" as I've heard pregnant women do--preparing a nursery, folding and sorting baby clothes, generally being all-consumed by the impending arrival of our new family member. But instead I find myself frantically working in the studio, terrified of how little time I'll have to create for the next few months. to keep for what? How long? 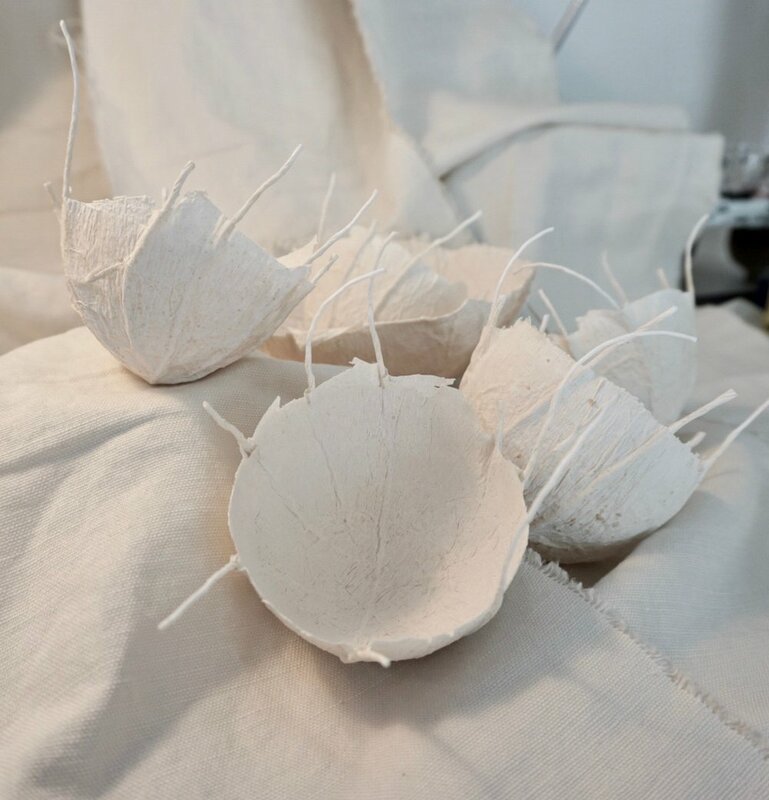 In the midst of binding languishing art quilts and finishing up old projects, I've found myself curiously drawn to these nest forms. I sketched them out a few months back when I plucked an abandoned nest off of our gutter and starting thinking about home, and about safety, and about scraps woven and plastered together to create a vessel. A shape for gathering and a shape gathered. Not sure exactly where these pieces are headed, but they feel full of possibility.